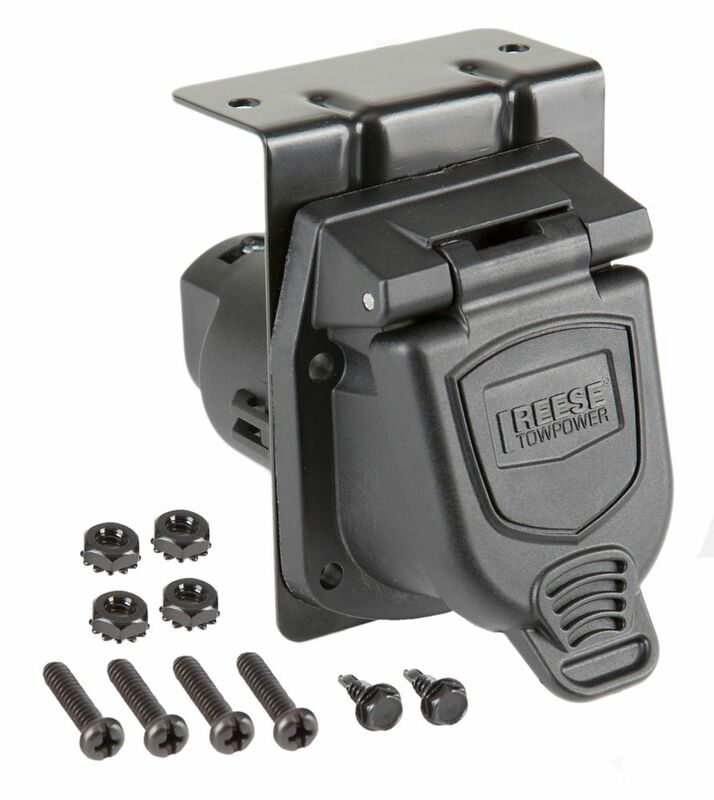 Reese Professional connectors are designed for ease of installation. They feature enhanced materials over standard self-wired connectors for longer life. These connectors are stylish and ergonomically designed. The REESE EXPLORE<sup></sup> Rooftop Mat is to be used with soft-sided carriers. It cushions cargo while protecting the vehicle's roof from scratches. The 36-inch by 36-inch non-slip material prevents carriers from sliding and is cut-able to the correct cargo or roof size. Traveling is easier knowing your cargo and vehicle are protected with the cartop mat. 7 Way Vehicle Connector Reese Professional connectors are designed for ease of installation. They feature enhanced materials over standard self-wired connectors for longer life. These connectors are stylish and ergonomically designed.